Posted by Sam Smith on Tuesday, January 29th, 2013 at 1:30pm. Presidential Heights is one of the older communities in San Clemente and located near the Orange and San Diego county border lines. Built in the 1970's, these one and two story condos feature some of the best ocean views you will find for condos under the $500,000 range in San Clemente. There are actually two communities within Presidential Heights and commonly known as Presidential Heights I and Presidential Heights II. One of the benefits the condos offer is a great location just minutes to the Riviera & Trestles surf beach and located directly above the San Clemente municipal golf course. Another benefit to living in Presidential Heights are the views. Not all condos will have views but select condos in both Presidential Heights I & II will have awesome views of the golf course and/or ocean. Association benefits include several community pools and spas as well as plenty of guest parking in the area. Association dues will run around $230 a month and include the maintenance of the community pools and common areas. The condos are best suited for first time home buyers, real estate investors and those looking for a second residence. Prices in the community $350,000 to $650,000 with view properties starting at around $450,000. These condos will sell very quickly so it's best to act quickly when they do come on the market. Most of the condos will come with a 2 car garage with smaller units only having a 1 car garage. The condos listed above for sale are great examples of ocean view condos in the Presidential Heights area. As you can tell you have direct views of the ocean from your downstairs living room, kitchen and dining area as well as from the Master Suite on the 2nd floor. 2 bedroom condos are very common in this price range but if you can find an ocean view 3 bedroom in the mid $400,000 act quickly! Many buyers are looking for exactly these kind of condos so competition can be very fierce. 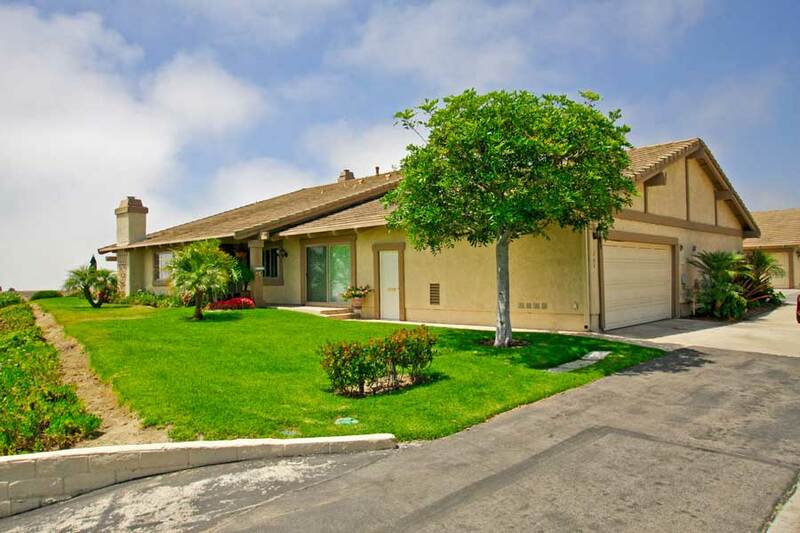 For more information on these San Clemente condos please contact Sam at 949-291-0424 today!